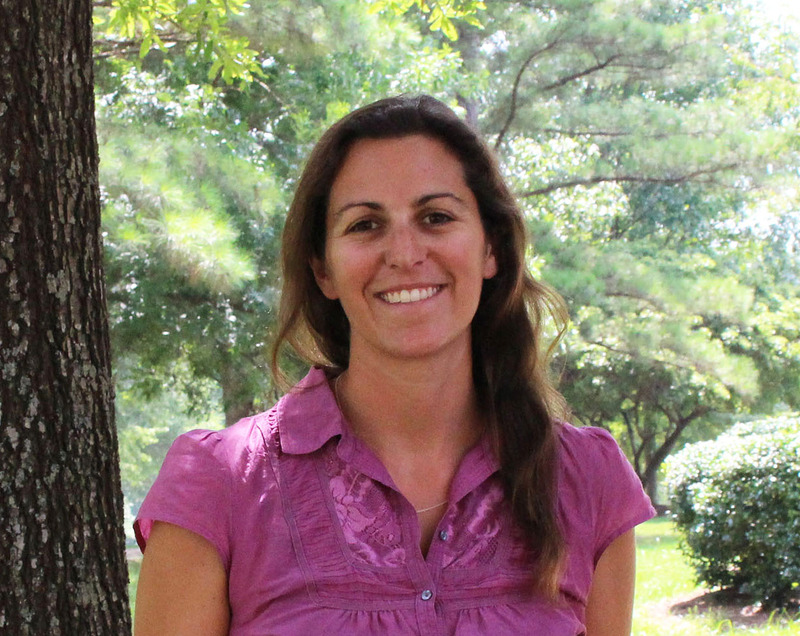 Sarah Spiegler has joined North Carolina Sea Grant in a dual role as N.C. Sentinel Site Cooperative coordinator and marine education specialist. The National Oceanic and Atmospheric Administration established the Sentinel Site Program to bring together science, management, and technology to address the impacts of sea level changes on coastal habitats and communities. The hallmark of the program is that it effectively coordinates existing efforts to better achieve a common goal of coastal resilience. North Carolina’s Sentinel Site Cooperative is one of five in the nation. In her role as coordinator, Spiegler will build partnerships; seek funding that expands the N.C. cooperative’s reach; and coordinate research teams working within the site’s boundaries. She will collaborate with several NOAA offices, as well as ensure that natural resource managers and coastal residents receive timely, useful information about the N.C. cooperative’s projects. 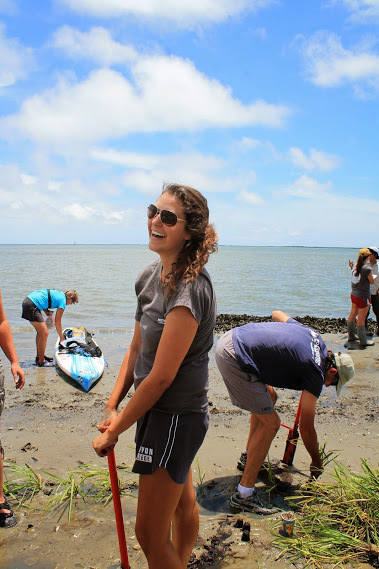 Spiegler also will broaden Sea Grant’s marine education extension presence in the coastal region by engaging K–12 students and teachers through workshops, field trips and trainings. Spiegler will build on previous experience working with NOAA’s Sentinel Site Program. From 2016 to 2017, she was an outreach specialist for the N.C. Sentinel Site Cooperative, after working for the program as a part-time federal contractor from 2012 to 2016. Spiegler also has contributed to Sea Grant communications products, including Coastwatch magazine. Last year, Spiegler co-taught an intensive travel field course called “N.C. Coastal Issues and Experience” at the University of North Carolina at Wilmington. 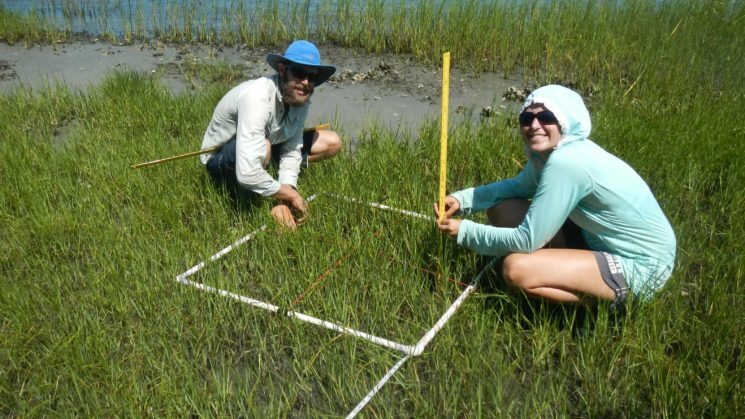 Open to undergraduate and graduate students, the course focused on historical, geophysical, ecological, cultural, economic and recreational issues facing coastal managers and communities in the state. An avid outdoor enthusiast, Spiegler is an American Canoe Association-certified kayak and stand-up paddleboard instructor. She also is a wilderness first responder, and has experience working on sailboats in North Carolina and New Zealand. She has a bachelor’s degree in biology from Kenyon College, and a master’s degree in environmental management from Duke University’s Nicholas School of the Environment.